Kingfisher – can you spot one? Although everyone has seen pictures of Britain’s most flamboyant bird the shy kingfisher is not easy to spot. Even when they are sitting in a tree or bush on the riverbank this brightly coloured bird is surprisingly difficult to see. 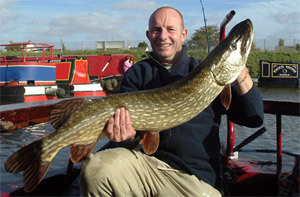 However, the deck of a boat on Cambridgeshire’s waterways is the perfect place to see one. The best way to see a kingfisher is to look well ahead of the boat to see if one comes out from the bank. At a distance you will not see the bright blue of the plumage but the kingfisher can be recognised by its flight and habits. 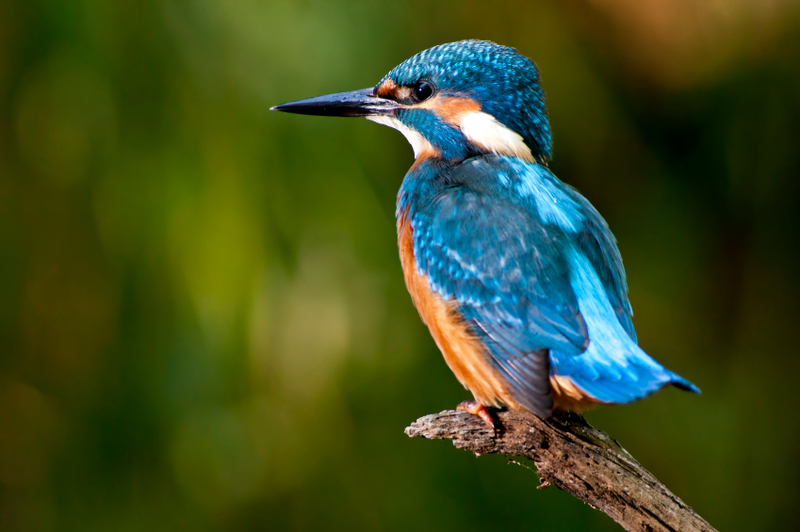 The kingfisher has small wings that it beats rapidly so at a distance its flight looks more like that of an insect than of a bird. 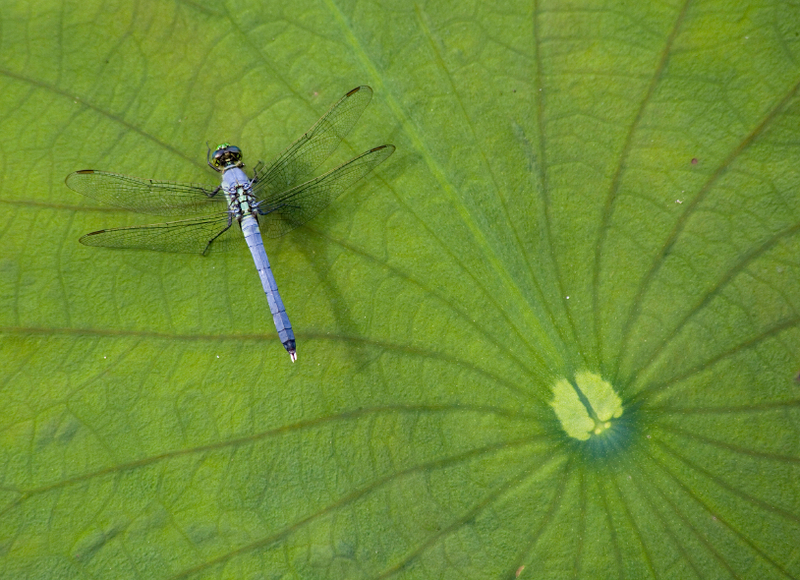 It flies at about two foot from the surface of the water and can often be seen to fly out from the bank ahead of the boat and to land on the bank farther ahead. 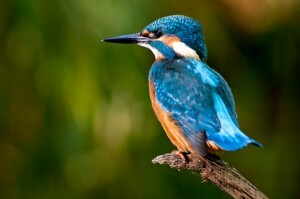 The kingfisher has its own territory so will not continue to keep ahead of your boat indefinitely. When it reaches the end of its length of river it will do one of three things; either it will perch on a tree or bush and wait for the boat to pass, or it will turn and fly back past the boat, or it will fly away from the bank to fly home across the fields. The secret of spotting these elusive birds is to keep a careful eye on where they land so that you always know where they are. In this way you can maximise your chance of spotting one at close quarters. 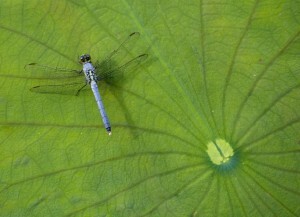 Dragonflies and damselflies thrive along Fenland’s waterways. Did you know both Species are 300 million years old -twice as old as birds? Or that a dragonfly can reach a speed of 30mph in full flight? 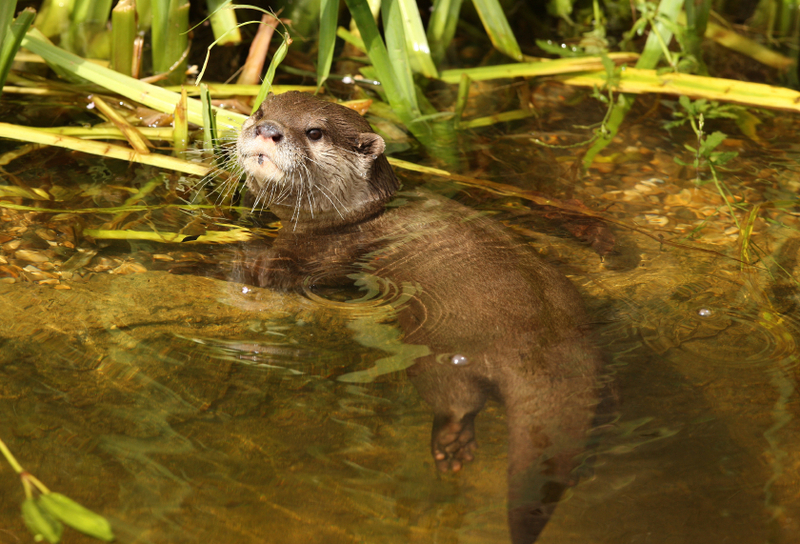 The Middle Level Otter Recovery Project has been in operation for a year during which time 22 otter holts have been constructed on Middle Level watercourses. Of these, 16 have been built into the banks and six constructed above ground. In addition, four mini holts were built. These are half size dens that will give temporary cover to an otter moving along the waterways and usually are built where an existing bush gives cover. Surveys of 62 bridges over Middle Level waterways in the spring revealed positive signs of otter, (spraints), at 18 of them. Lower numbers of bridges with spraints later in the year suggested a prospecting population rather than established breeding animals. The project has been supported by SITA Trust, which makes awards through the Landfill Communities Fund. 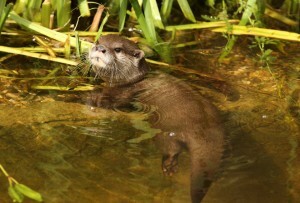 The idea that otters are shy creatures of the night that avoid contact with human activity took a bit of a knock one morning in October at Salter’s Lode. Middle Level workers Jules Carlile and Morgan Lakey noticed some fresh prints on the mud at 10:30am that had not been there when they started work at 8am, assisting the contractors that were replacing the guillotine door of the locks. On closer inspection, the tracks showed five pads confirming it had been an otter. The surprising fact was that the piling works had been in progress 30 yards away but the otter had felt confident enough to leave a spraint, (a distinctive scent message for other otters), on a mound of silt it had scraped up for the purpose, made a brief tour of the silt bank and carried on its way southwards along the tidal river bank.